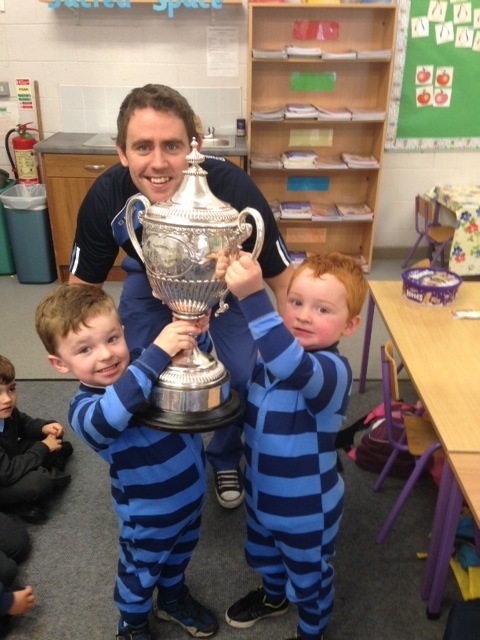 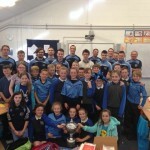 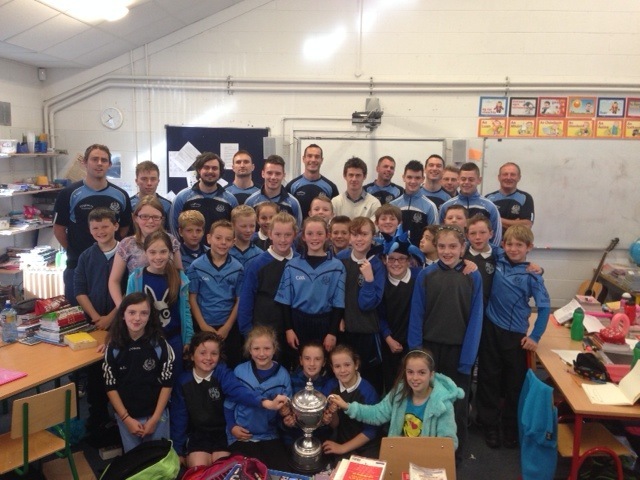 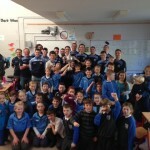 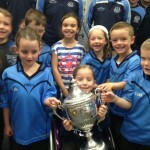 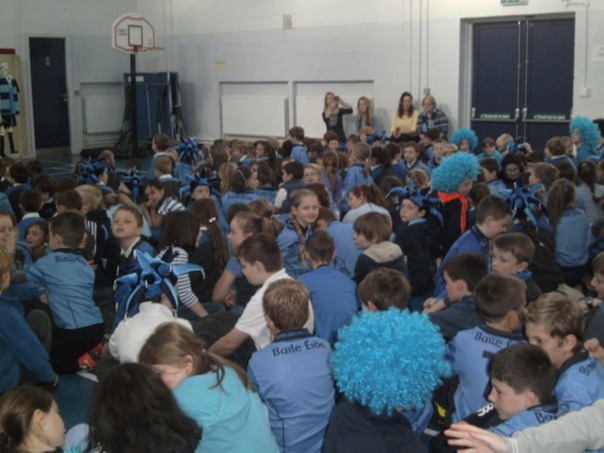 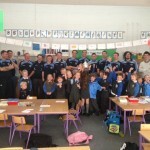 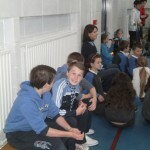 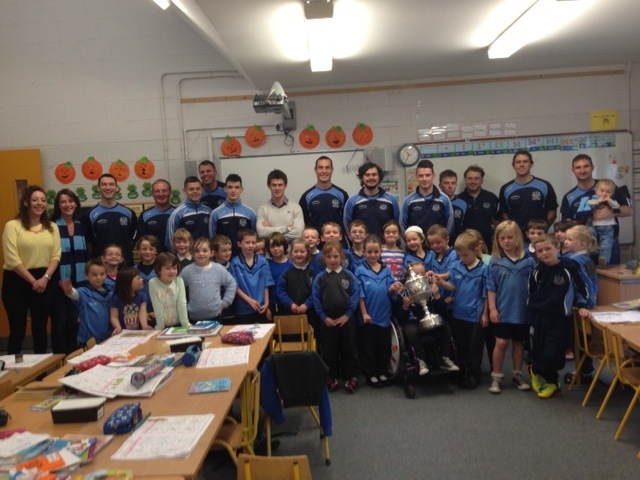 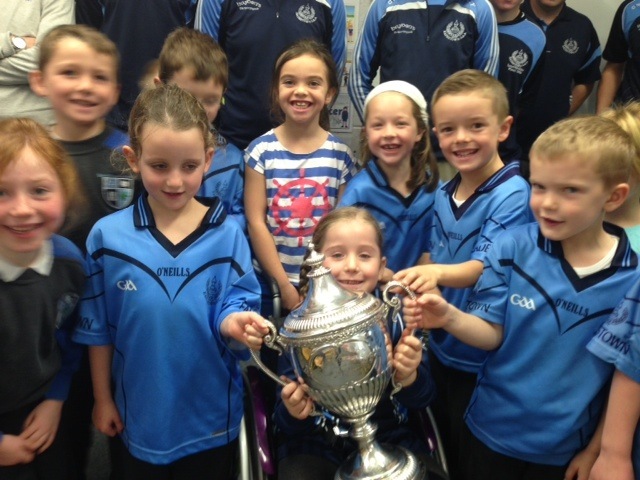 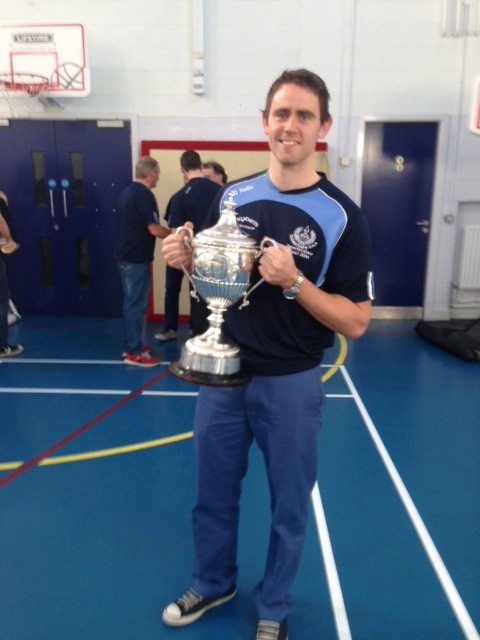 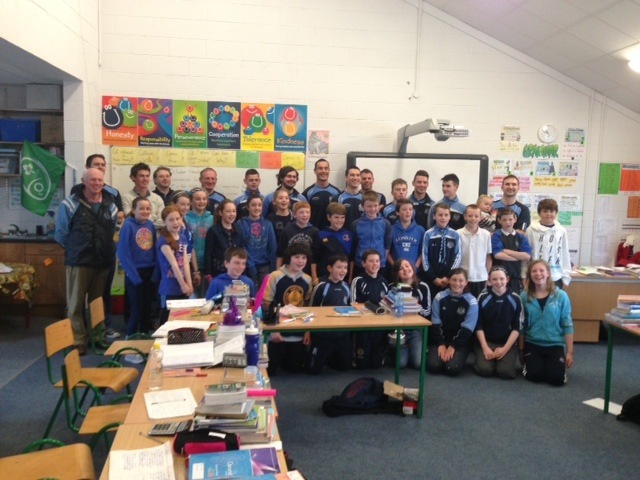 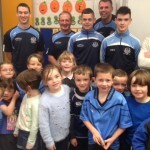 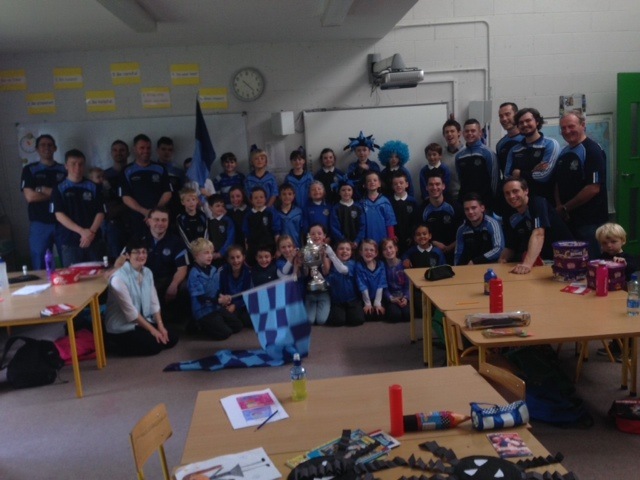 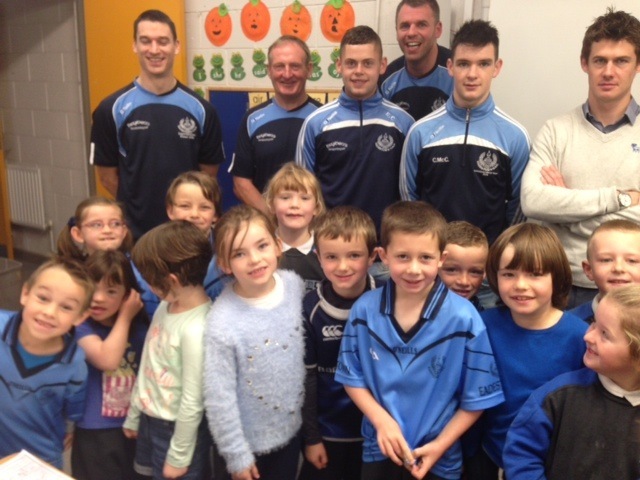 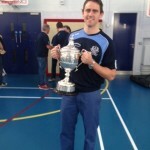 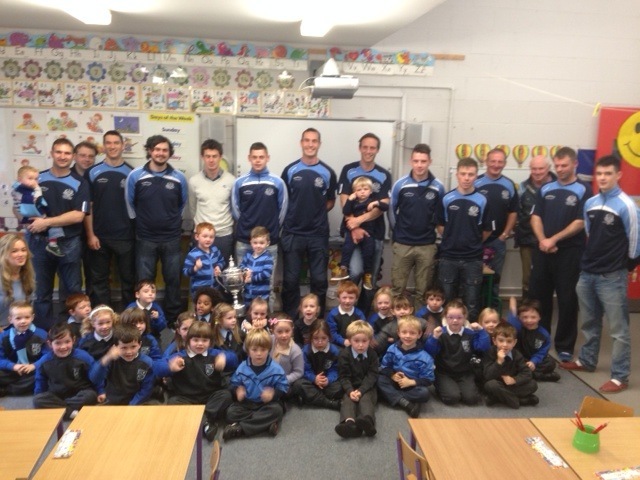 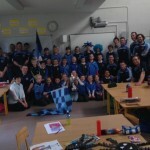 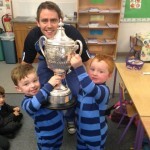 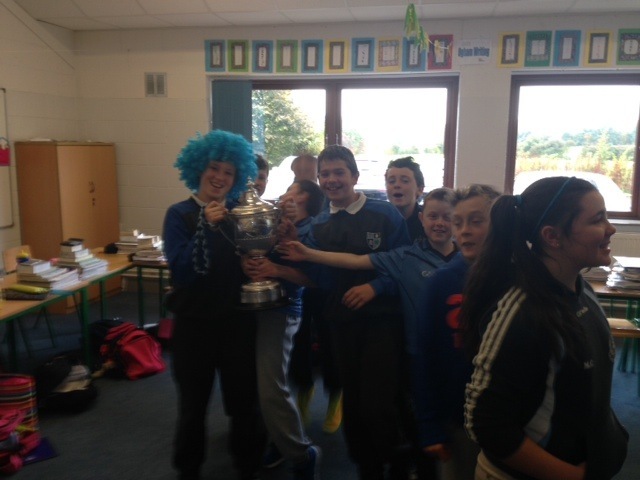 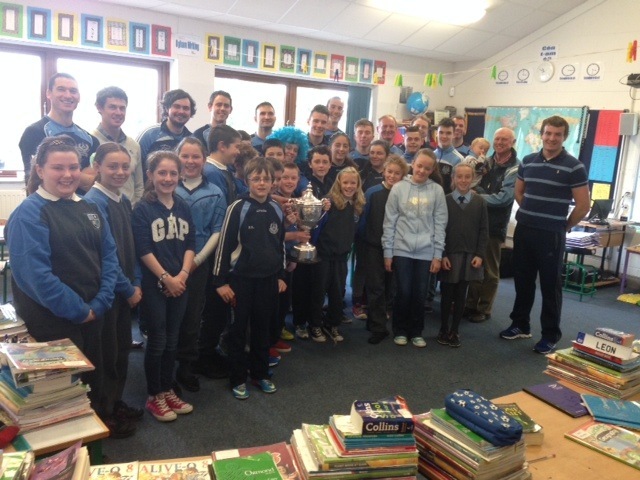 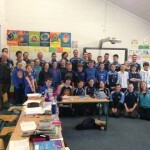 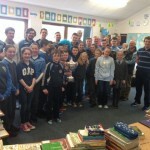 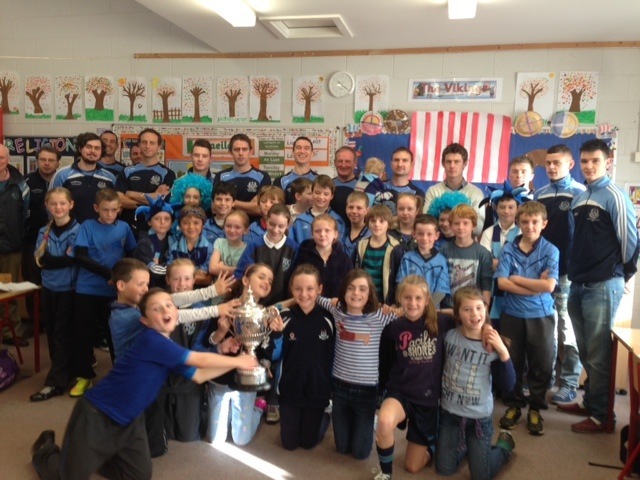 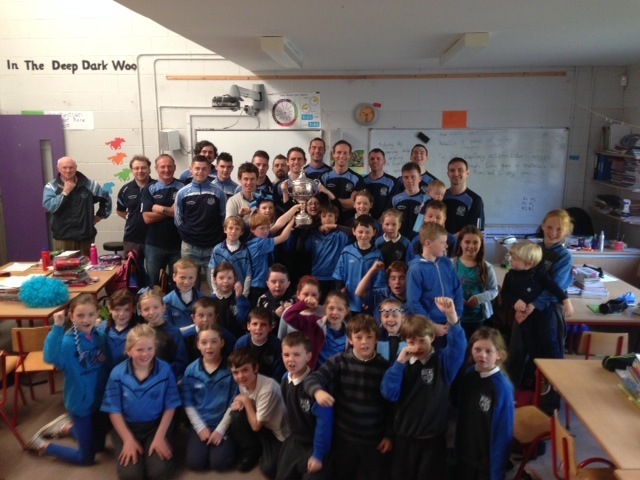 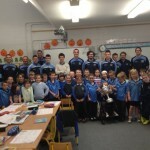 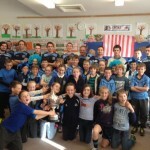 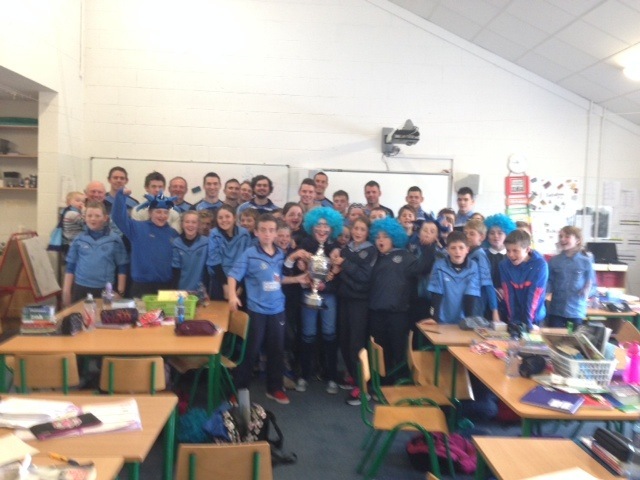 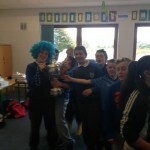 On Friday 17th October Dessie Brennan, Edward Grainger, Ger Kavanagh, Emmet Bolton, Barry Lawler, Adam Fitzsimons, Conor McCarthy, Eoin Cummins, Pat O’ Sullivan, Sean O’ Sullivan, Shane Boylan, Willie Casey, Richie O’ Neill, Paddy Fleming & Mark Murphy came to school with the Hugh Campion Cup. 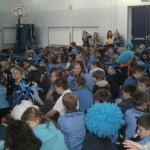 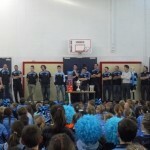 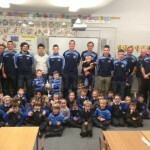 The team got a tremendous welcome from the children at assembly. 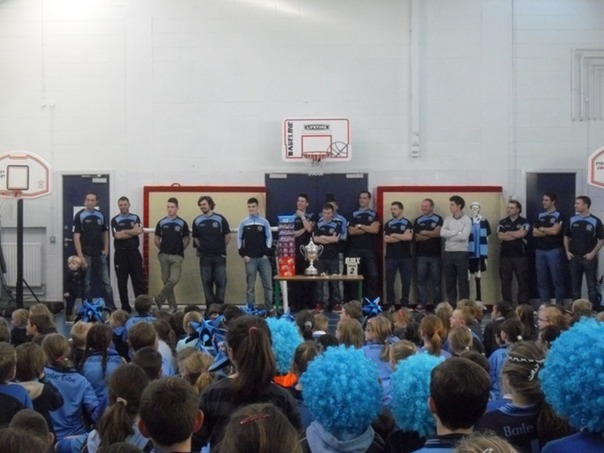 Mr. O’ Donovan, team member Emmet Bolton and coach Dessie Brennan all spoke to the children and thanked them for their tremendous support. 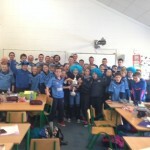 Eadestown went on to play Railyard in the quarter final of the Leinster championship in Kilkenny on Sunday 2nd November winning on a score line of 2-15 to 2 points. 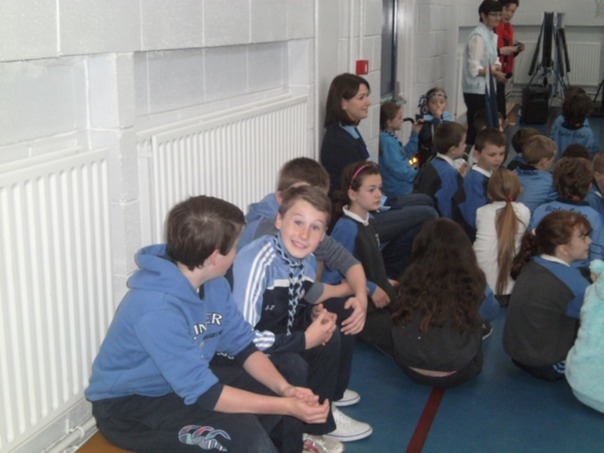 They are now through to the semi-final against Sean O’ Mahony’s in Co. Louth on Sunday 16th November, and if they win their match they will be in the final of the Leinster championship. 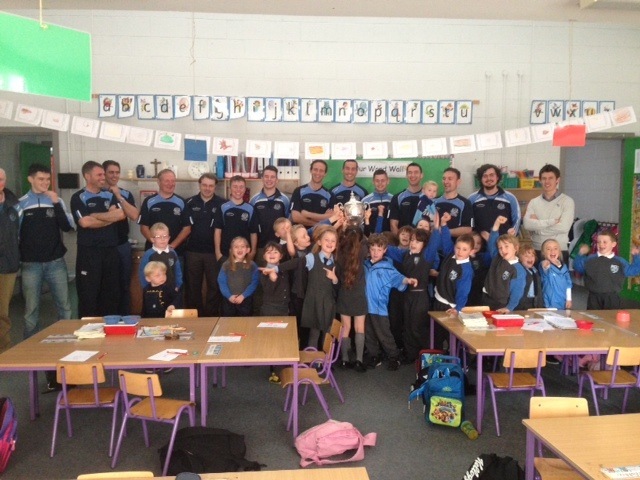 Thanks also to the team for bringing in a tin of sweets for all the classes.